When national European regulators force major energy companies (gas, power and water monopolies) to divest of their operations, you'd think the highest bidder would have a chance to enter the market, particularly U.S. companies with their full pocketbooks. But that's not the case, as these companies are choosing other assets instead of cash. Some of Europe's largest utilities, such as Germany's E.ON, Spain's Endesa and Electricite de France, are already sitting on large piles of cash. So when these power companies are forced to divest they often barter the operations for similar assets in another European country. The result is a series of swaps that leaves the utilities with about the same assets, just in different markets. Bankers say the inclination to barter will remain strong; asset swapping will last for some time possibly becoming an even greater feature of European utility acquisitions when the French, Belgian, and Spanish markets begin opening ever further. On St. Pete's Beach, near Tampa, IRTA (International Reciprocal Trade Association) is holding its 23rd Annual Barter Congress, "Charting The Future," September 26 to 29. At the same time, NATE (National Association of Trade Exchanges) is staging their "Sales Training Program" in Chicago on September 27 and 28. The chains benefit from sophisticated inventory and logistics techniques and economies of scale, and have been displacing local proprietors (mom and pop retailers) around the nation. The decline in small retail outlets has enhanced the productivity numbers in another way. Small owners tend to hide some of their sales to avoid taxes, while big national retailers have an incentive to report all sales to impress investors...and, of course, such reporting boosts measured retail output and productivity. Small retailers should see the handwriting on the wall...to survive they will have to provide superior service to their clientele. Offering their clients another way to acquire needed merchandise (barter currency) would certainly provide an additional enhancement. The fact that more retailers aren't members of trade exchanges means one thing--the barter industry is overlooking the need for continuing education in the marketplace. For the public's perceptions of barter see the May 28 and June 4 Tuesday Report. The owners of a new micro brewery, The Great Providence Brewing Company, financed their dream by marketing their shares directly to local beer drinkers. Undercapitalized, they bartered to get their message out to the marketplace by trading for radio advertising and needed public relations services. The full story, "How A Startup Brewery Used Barter," is found at "What's New" and then click "Trade Exchanges" to find the article. Shaquille O'Neal's dominance in the National Basketball Association (NBA) is well-known. In this issue we looked at his bartering talents. He calls it "Homeboy Marketing!" Learn how he uses high-profile barter endorsements to increase his wealth. 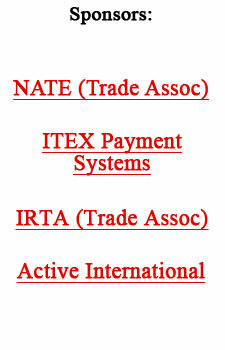 Are you a member of a trade exchange? Then you probably already know one of the smartest uses for your trade dollars is hiring independent contractors through your trade exchange, allowing you to spend your time on your most important priorities...servicing your ever-expanding customer base. Also reported in this issue was the TAHO-BXI synergistic union, which was the cover story of BarterNews #52. "China's momentum in becoming a manufacturing super power seems unstoppable." According to Courtis, the obsession among global CEOs to lower production costs, by outsourcing whatever they can to large scale specialists, will see 50% of all manufacturing outsourced by 2010. Seeking profits in a hyper-competitive world will be the driving force. Wage rates in China are now 33% of Mexico's and Hungary's, and 5% of those in the U.S. or Japan. And China's investments in education and training are attracting research facilities from the major multinational corporations. The critical mass of factories, subcontractors, and specialized vendors has created a manufacturing environment with which few can compete. Downside: A growing vulnerability of the U.S. economy to global supply lines that originate in China (and Taiwan) which are designed for just-in-time delivery to our critical industries. Secondly, in today's changing world, the question of security around these vast industrial parks needs to be addressed. Entrepreneurship in the United States is down. Only 11.7% of adults, versus 16.7% in 2000, launched new ventures or stuck with start-ups, according to the Global Entrepreneurship Monitor 2001 report from the Kauffman Center for Entrepreneurial Leadership. Topping the entrepreneurial list is Mexico where 18% of working-age adults were either launching start-ups or nurturing young businesses. (Good news for Mexico since their maquiladoras assembly programs are hurting, as reported in May 14 Tuesday Report.) New Zealand, Australia, South Korea, and Brazil also were ahead of the U.S. in new business activity. It's interesting to see, in the above story, that Brazil tops the U.S. in entrepreneurial activity, especially given the fact that money is so expensive in all of South America. Many in the U.S. question an entrepreneur's audacity when they max out their credit cards and then pay interest rates from 8% up to 24%. Imagine trying to move forward in Brazil where annual credit card interest rates surpass 200% (Wall Street Journal...June 11, 2002). That's the rate for the minority of Brazilians that qualify, yet they are moving forward despite the onerous cost for money! There's a new trend taking over according to The Nilson Report--more plastic and less paper. Some 29 billion checks (paper) were written last year to pay for goods and services. That compares with 21 billion credit card transactions for the same period, up from 14.6 billion in 1995. Europe has taken a step toward freer markets, as the European Court of Justice's recent decision shows, when it rejected the notion of "golden" shares. Heretofore many European companies were protected by golden shares. These shares granted the government a "blocking vote" on mergers and other strategic decisions in the takeover of companies they considered too valuable to fall into foreign hands. The argument was always in the name of national security, but in reality it was a way to restrict competition. However the Court has now ruled, "All restrictions on the movement of capital between member states and third countries are illegal." The court's decision reflects the promise of the European Union at its best, encouraging the free movement of people, goods and capital. The absolute best way for entrepreneurs to work through a trade exchange (to ensure regular on-going cash-flow), is to use the strategy outlined on page 9 of the FastStart Program I. Unfortunately, only a small percentage of trade exchange members follow this plan. But you can, and by doing so you will have much greater success in generating sustained cash-flow! Do booze and cigarettes have the highest taxes? Many think so. But airline executives, outraged over the push in Congress to double the security fee on airline tickets, say the 11% tax on booze and 18% tax on cigarettes are both lower than the present 25% tax on a $200 ticket. That is about $50 per seat to cover federal taxes, security fees, and airport-imposed facility charges. Doubling the security fee would push the taxes to 30% of the fare. Last year was a record-shattering year for securities litigation. Nearly 500 lawsuits were filed, the majority (308) concerned with the allocation of shares in IPOs (initial public offerings). In most cases they involved allegations of "laddering," a common practice during the dot-com bubble. In such cases, certain investors promise to buy additional shares of new issues at progressively higher prices. They then kick back a percentage of the profits, made on the hottest issues, by rewarding the brokerage firms with additional business. Refers to that percentage of "scrip" or "due bills" that is never redeemed. Breakage can be caused by lost scrip, not using the scrip before the expiration date, or by using only a portion of the total value of the scrip. The average breakage is estimated at 26%. Refers to radio, television, cable, internet, and syndication.